A new Stranger Things teaser trailer has revealed the titles of each episode in season three. I don’t know about you, but ever since Netflix released the first trailer for the highly-anticipated third season of the sci-fi show in July, I’ve been desperate to know more about Steve’s life working in the ice cream shop. In season one he seemed to be a bit of shifty character, and I wasn’t sure if I could trust him, but season two changed that first impression completely when Dad-Steve appeared and took our favourite demogorgon-hunting kids under his wing. In the new season he seems as loveable as ever, serving ice cream in his little hat and greeting customers with ‘Ahoy!’ in Hawkins’ new shopping mall, which seems as though it will be central to the upcoming season of Stranger Things. Do I have a crush on Steve? Potentially. I mean, I just spent three paragraphs on him when you can see clearly he actually has nothing to do with the teaser Netflix released on Sunday, but since he’s the only main character we’ve glimpsed in season three so far, I think it’s relevant enough. Though the next season won’t appear on the screening service until 2019, which thankfully isn’t that far away, Stranger Things fans can begin speculating about what we’re going to see as Netflix with some careful inspection of the episode titles. 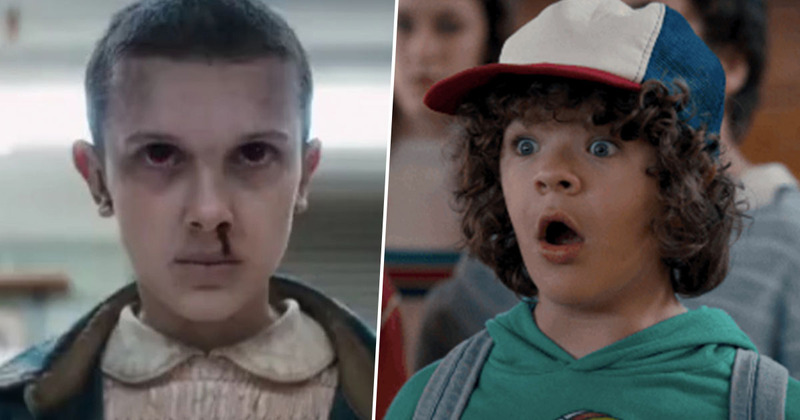 As was the case for season one, the teaser revealed there will be eight new episodes, each of which will probably creep us out sufficiently with visits to the upside down and the occasional glimpse of the monster’s teeth-filled face. While they don’t give too much away, there are some things we can guess about season three from what the titles suggest. Suzie, Do You Copy? implies there’ll be a new character entering the Stranger Things universe, as – at least, as far as I’m aware – we’ve not been introduced to a Suzie so far in the show. We can guess she might be a new friend of the gang made up of Mike, Will, Dustin and Lucas as they appear to be trying to reach her on the walkie-talkies Will used to contact Eleven in previous episodes. The fact they have to question if she ‘copies’ suggests Suzie might not be reachable, and I’m willing to bet she’s been sucked into the upside down. The same for The Case Of The Missing Lifeguard – spoiler alert, they’ve probably become Demagorgon food. Unless Suzie is the lifeguard? The teaser will almost certainly spark a lot of Stranger Things theories. Or is Suzie perhaps a spin on Susan, Max’s mom? It’s safe to say I can’t wait to see what the creators have in store for us!